Greetings and Great Peace to the people and the nations of the Earth! The phrase HOLY BIBLE, when read in reverse, inscribes the phrase El BIB YLOH (al-bab ilah). Literally, this translates as “The Gate or Door of God.” The bible has a total of 66 books. The book is partitioned into old and new testaments. Currently, there are 39 books in the old-testament and 27 books in the new-testament. This division is in tune with the differential rotation of the Sun at the poles (39 days) and at the equator (27 days). Also, the numbers 39 and 27 are multiples of the number 13 and 9 accordingly. When these factors are multiplied, the result is 117. As I mentioned throughout the years the number 117 is the alphanumeric value for NUWAUPU and DIVINE LOVE. The value is also the product for the light-mass-energy equivalence relationship “Energy = MC^2,” when the letters M and C numerical positions in the Standard English alphabet are taken into thought. The Great Pyramid of Gizah, which is at the center of all land masses, has a perimeter of 3,024 feet and a height of 481 feet. Not only is the structure’s perimeter and height factors of 9 and 13 accordingly, but also their sums reflect the said factors (3+0+2+4 = 9; 4+8+1 = 13). When one ponders the bible once more, he or she will discover that the center chapter of the entire book is the 117th chapter of Psalms. At the heart of the bible is Sound Right Reason (Nuwaupu), Divine Love (Chesed), and positive energy of compassion (E = MC^2). In addition to being at the Heart of the bible, Psalms chapter 117 is the shortest. Here, one can read about how the people of planet Earth and all the Nations of the world can seek divine love, mercy, generosity, giving, and positive energy of compassion through YAHUWA. The fourth sephiroth of the tree of life, Chesed (grace), is inscribed and stationed at the very heart of the book. As we learned in nuwaubu, in the word Yahuwa is HUWA, which constitutes the word Love. Love is the message. 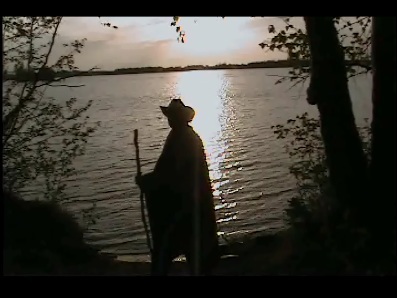 Rise into Radiance (Wabanoo). Praises be to Anu. 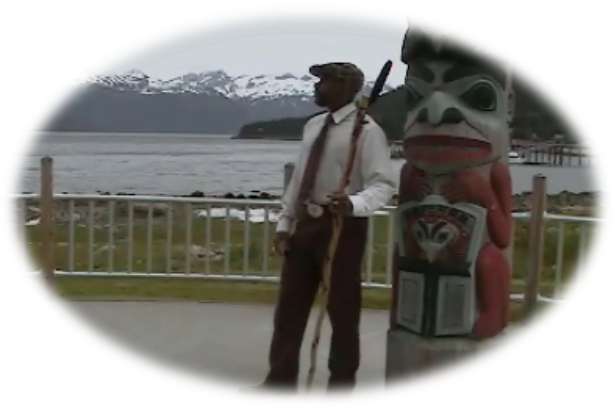 Last edited by Pa Neter Ra; at 11:33 PM..
Greetings and Great Peace to all people and Nations of the Earth (Eridu)! Question: Could you further expound on the Gate or Door of God (al-bab ilah)? As you have read, the reflection of the term HOLY BIBLE is EL BIB YLOH. The alpha-numeric sum is 90, hence the sum 9 + 0 = 9. The gate of God corresponds with intersection of the Milky Way and the ecliptic in the constellation Sagittarius. The gate of God is also known as the Golden Gate (Sun Cycle). In the Holy Bible, the Golden Gate is called the “Son of God.” On the other hand, the complementary to the Gate of God is the Gate of Men. This is the Silver Gate (Moon Cycle). In the Holy Bible, the Silver Gate is called the “Son of Man.” The cross symbolism of the Ancient Pharaohs demonstrates the utility of the Golden and Silver gates. The nine times table demonstrates this mathematically as what I called the “numeric chiasma.” The chiasma of the nine times table occur between the products 9 x 5 = 45 and 9 x 6 = 54. All things that happen in the heavens shall also manifest on Earth. I am one of the 144,000, a Prince of the Great Peace at the North Gate. Last edited by Pa Neter Ra; at 10:23 AM..
What is the “Numeric Chiasma”? The word “Chiasma” comes from the Greek word meaning “crosspiece.” Furthermore, the word “chiasma” comes from the Greek word Chiazein, which means to “mark with a Chi(X).” The marking of Chi(X) is demonstrated in genetics, the cosmos, mathematics, the human body, et cetera. 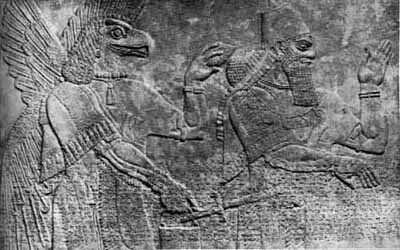 In ancient Mesopotamia, the marking of Chi(X) is called Nibiru. The optic chiasma in the seat of the intellect known as the brain is where varying speeds of “light” messages are crossed. Mathematically, the nine times table marks the Chi(X) between the products 9 x 5 and 9 x 6 and various other places as demonstrated below. The result is the caduceus, the staff of a herald (messenger) in the milieu of mathematics and arithmetic. Being wise as serpents and harmless as doves is your psychic self-defense (shield) as you navigate in the midst of wolves (malevolent forces). Ancient and modern physicians utilized the caduceus as an emblem of good health and good medicine. Through good health and good medicines, the Son of Man shall be uplifted amongst you, in the midst of wolves (malevolent forces). Know and see the signs of the times. I brought the “numeric chiasma,” the mathematical caduceus, the Table of Nines, message from the Dog Star. Last edited by Pa Neter Ra; at 04:25 PM..
What is the answer to the equation 9 to the 9th power of 9? The answer or ansaar to the equation 9 to the 9th power of 9, which I had coined the term “Nubian Number,” is a sequence of numerals that are 78 in number. Its series resonant with the heart beat of your planet Earth (Eridu). Its atmospheric pulse (schumann resonance) undulates at a frequency of 7.80 cycles per second. The number 78 multiplied by 15 yields the value 1170. This value is a multiple of 117, which is the value for NUWAUPU (Spirit), DIVINE LOVE (Soul), and MC^2 (Body). Thus, the 78 digits for the “Nubian Number” is the Earth’s consciousness (base frequency) in mathematics. The base frequency has increased to 27 cps and will culminate to a frequency of 39 cps. These frequencies are tuned to the differential spin of your sun and the current makeup of your holy bible (book of the sun). In addition, the values 27 and 39 are multiples of the number three and therefore reduces to the numbers 9 and 13 respectively. This takes us back to the fundamentals of the composition of space, matter, and time. "Wise as Serpents - Harmless as Doves"
Last edited by Pa Neter Ra; at 09:55 PM..
My lineage (jus sanguinis) stems from the race of serpents and the race of avians. 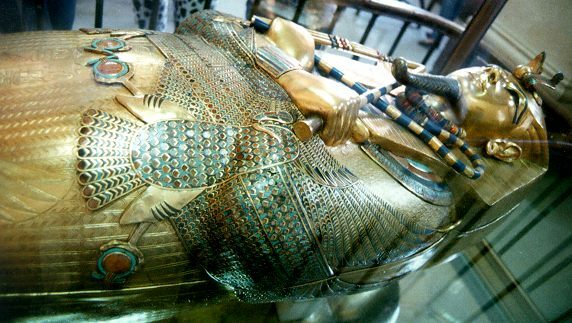 Throughout your history on this planet Earth (jus soli), the royal lineage is known to be that of the feathered serpents the world over (Mexico, Egipt, Sumer, etc). In ancient Tamery, the medw netrw word for gold is nbw (nebu). This term is a reflection of wbn (weben), which means to “rise in radiance.” Hence, the “mirror effect” of nbw and wbn, that is to say gold rising in radiance (causal body/abstract mind). It is the SUN. The word SUN has an alphanumeric sum of 54 and 5+4 = 9. The number 54 reflects 45 and as you know, the numbers 54 and 45 form the numeric chiasma (cross piece, neberu, nibiru, naba ra) of the nine times table. The chiasma is the letter “X,” which is the ancient glyph for KAN or CHAN, the feathered serpent of Mexico (Anahuac). KAN or CHAN, also inscribed as KAAN means yellow, the hue of the SUN and the hue of royalty. KAAN is also a very, very ancient POLITY (body politic) that in recent times fell. The time has come to resurrect this ancient and legitimate/rightful body politic. The golden children are the true heirs to this vast estate (Empire of the Serpent, Empire of the SUN). Last edited by Pa Neter Ra; at 07:22 AM..
Hunab Ku is the benefactor of movement (time), matter (mass), and measurement (space). The alpha-numeric sum for the phrase HUNAB KU is 78, which is also the exact number of digits for the answer to the equation 9 to the 9th power of 9. Therefore, the concept of the divine and mathematics resonate and thereby harmonizes with the Earth tone (7.8 cycles per second), breathing mind into the several atmospheres of the physical plane (naasuwt). The book of John speaks of this in the context of the “True Light,” which gives mind to every human being who comes into the world (doctrine of mentalism). Where do one start to learn about the Elohim? As Malachi, Atum-Re (first point of light) had instructed in the past, start with the book of Malachi, then read the book of John, then read the book of Revelations. As you now know, the books of Malachi and Revelations are texts mathematically tuned to the differential spin of the Sun. You must shift from the Holy Bible to processing the instructions (codes) from your nearest star (Shamesh), Sun of Justice. Malachi being the 39th and Revelations being the 27th, the common factor is the number three and thus the proportion reveals a fraction resonate with light (13/9 = 1.44). The book of John speaks of that light and he (John) was sent to bear witness to that light. The law was given by Musa. However, grace and truth came by way of Yashua. In remote space, matter, and time, that light, “true light,” light full of grace and truth was known as wbn (waban), and in tones wbnw (wabanoo). It literally means “to rise into radiance.” This science for restoring one’s Right Mind, Sound Right Reason, using FACTS, was re-introduced to you as NUWAUPU (117 = 13 x 9). As with John (Yochanan, Yahuwa is Gracious) of old, you all have bore witness to that light, the only begotten of the Father, full of grace and truth, born neither of blood, nor of the will of the flesh, but of the Will of the Elohim (Neteru). You say that wbn or wbnw means “to rise into radiance” can you further explain the application of those terms? Certainly…Humanity had fallen and so she must be risen from her nap. Noble Drew Ali implemented the science (i.e., the know-how) in the early part of the 20th century. The objective was put in this simple context: "To uplift fallen humanity and teach those things necessary to make men and women become better Citizens.” This in fact became the modus operandi of the Moorish Temple of Science, which had been incorporated, in this Said Government, as a Jural Society. Thus in Positive Law, each Citizen (sons and daughters) is to become the building block for a more perfect union (i.e., community); living in accordance with Love, Truth, Peace, Freedom, and Justice. Each Citizen is called bnnw in the medu neter. In Aramaic-Hebrew, he or she is called “the builder” i.e., BEN (son) or BANAH (daughter). So you see, the nexus among the ancient terms: wbn, wbnw, bnnw, ben, and banah are all linked to the cycle of the Jubilee (renewal of the Sun cycle). In addition, all are related to the self-created Bennu bird, the soul (ba) of Ra, the facilitator of the generative acts of ATUM. In body, Atum is Adam. In mind, Atum is the Atom. The Jubilee is connected with the mathematical renewal of the Sun cycle, which occurs every 49.5 years. The 49.5 year cycle (some would like to round off as 50 years) was derived from the chiasma of the nine times table (See above). 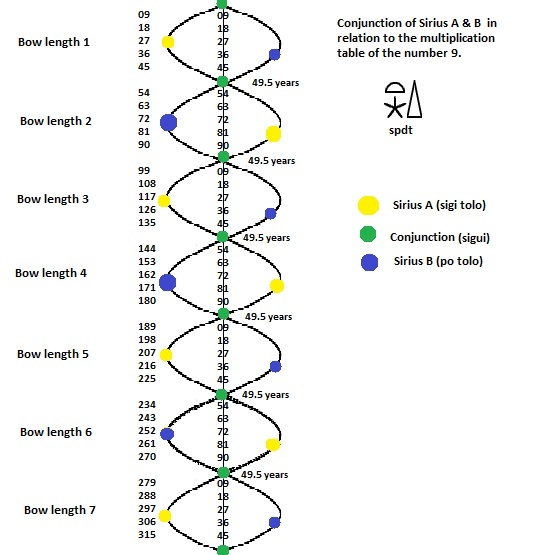 The position of the products 9 x 5 = 45 and 9 x 6 = 54 creates a crisscross dynamic reminiscent of raising the kundalini energy and the orbital completion of Sirius A & B every 49.5 years. Black America is in Deep Trouble! Last edited by Pa Neter Ra; at 04:36 PM.. Allow me to expound further on the term “Jubilee.” This term comes from the Aramaic-Hebrew word YOBEL. It means RAM. 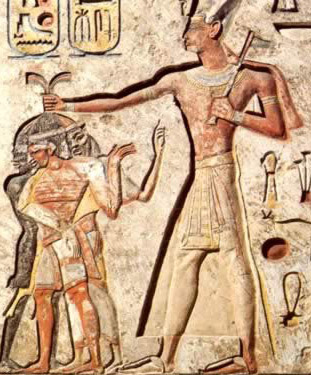 The ram in ancient Tamery (Egipt) was known as Khnum, the divine potter who creates humans in the wombs of their mothers. Note: sounds never dissipate; they only recreate into another space and time only to be articulated by matter (harmonized sound). Moreover, the idea of the Jubilee (yobel) engages in the ownership and management of resources, namely The Land. The Sun is now in the house of Aries, the Ram. This is a house for good leadership coupled with good followership. I was conceived in the womb (potter’s wheel) of my Earth mother when the Sun was in the house of the Lion. She had given birth to me, while the Sun was in the house of the Ram. I speak to you from the houses of the Lion and the Ram. Last edited by Pa Neter Ra; at 07:57 PM..
Why are you here? And what brought you here to planet Earth? NUWAUPU = 117 = 13 x 9. DIVINE LOVE = 117 = 13 x 9. Hence the proportionality of terms: NUWAUPU = DIVINE LOVE = MC^2. 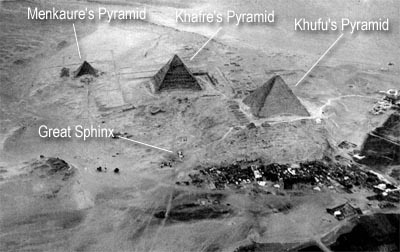 This fact is unshakeable and have stood the test of time as the Great Pyramid. The Great Pyramid was engineered on the principles of simple arithmetic expressed via light (i.e., life). The perimeter is 3,024 feet and the height is 481 feet. Simplifying the arithmetic reveals a base perimeter of 9 and an altitude of 13 respectively. This is co-incidence with light and light’s reciprocal at the center of all land masses. 13/9 = 1.44 as a harmonic of 144 (light). 9/13 = .692307 as a harmonic of 692 (life). What does this have to do with Bruce Cathie's energy grid? The above has nothing to do with his great works of the harmonic pulse of the universe and how the earth's grid system relates to it. However, the ancient ones of ancient Tamery (Egipt, East) and Mexico (Anahuac, West) did leave evidence of the existence of such super-consciousness via their worldview and simple arithmetic (9 x 13). 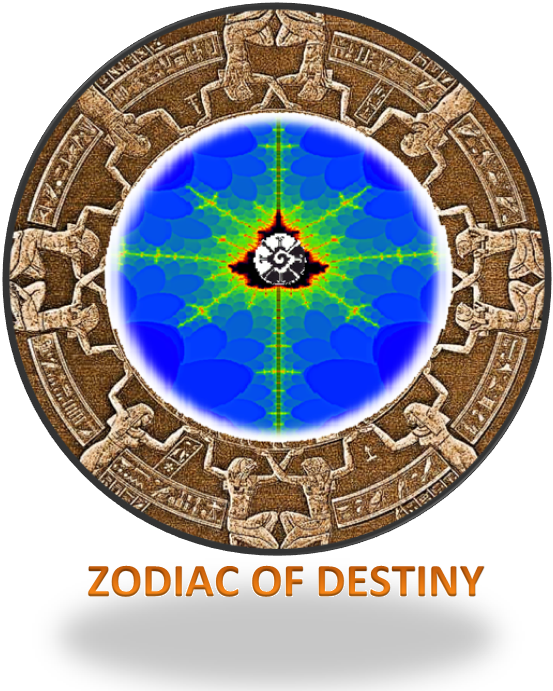 Unlike many, I was capable to tap into this super-awareness as destiny had destined for me and other golden children the world over. Last edited by Pa Neter Ra; at 01:26 PM..